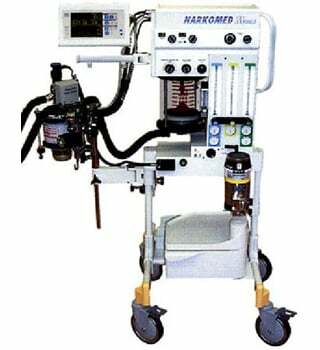 Full-featured state-of-the-art anesthesia machine that can be deployed in its transit containers virtually anywhere in the world by means of trucks, aircraft, and ships. System design minimizes the number of required components thereby minimizing assembly/disassembly time and reducing the loss of components. The modular architecture is extremely robust and flexible enough for use in a wide variety of hospital settings. Stored and transported in its own custom airtight containers.